How do you create a clean, modern looking website? What design elements do you need to use, or not use, to make your website look minimal, bold, and professional for your business? First of all, long gone are the days where a website used to look like the classified sections of the back of newspapers. Do you know the ones I mean? It’s where everything is literally thrown on one page, usually the homepage, and crammed tightly together with tons of colorful and flashy icons, images, silly little gimmicks, banners, and hardly any space between content elements. And, talking of content, usually, there’s very little of it. Oh, wait, a little similar to the website shown below. I wish I could tell you that the screenshot of the website above doesn’t really exist, but it actually does. 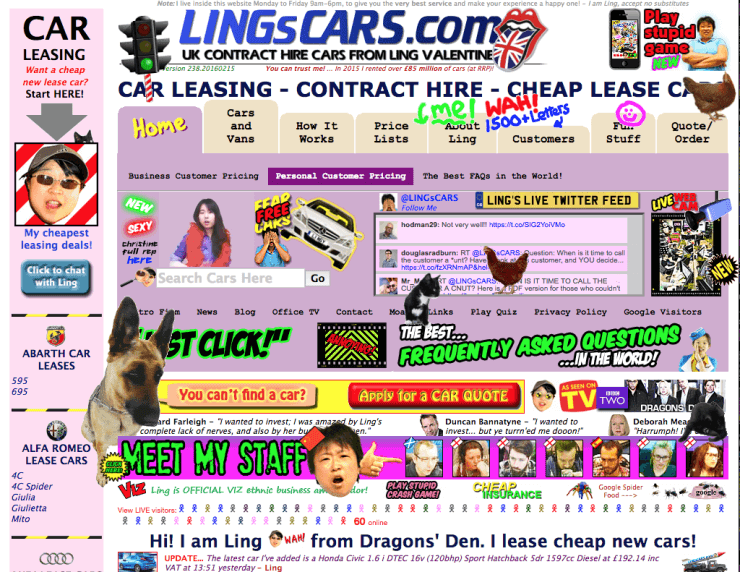 It is managed by a successful UK entrepreneur in the name of Ling Valentine, and believe it or not, his website is very popular. Hardly surprising when it looks like that, right? I know what you’re wondering, should this be the look to go for in your quest to create a modern website design for your business? Creating a minimal website design is NOT about cramming as much as you can on every single page. If anything, it’s completely the opposite. It’s about creating clarity and simplicity. More or less it does. Not to confuse you there. Whilst being clean and minimal, your modern website design project needs to be user-friendly and have all the functionality needed to help you increase conversions. Your visitors and potential customers need to be able to enjoy navigating around your website. So, if you’re thinking about a complete website redesign, here are 6 essential elements of modern website design you shouldn’t ignore. Number one on my list, although I’ve already used the word ‘minimal’ several times already. Minimal design is exactly how it sounds like, less is often best. Minimal design can be applied to any style, be it flat, bold, elegant, classy or boutique. Minimal design in websites is essential for helping to create focus and clarity for your site users. It helps users to stay focused on your content and makes for simple navigation around your site. With minimal design, sometimes less can appear as more. Website designers will try to balance the essential elements of a page. i.e. content, forms, images and other visual content, and put adequate amounts of white space around those elements. If you are at all conversion focus minded, you’ll appreciate the benefits of having a website that boasts minimal design. 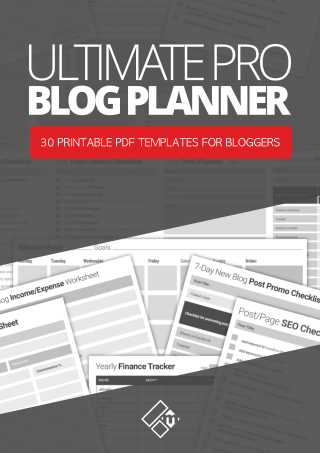 Loads much quicker than websites that have a lot of options, features, and elements. 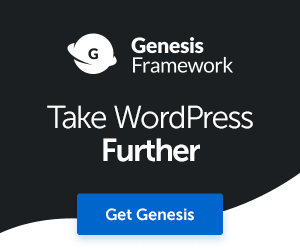 Helps users to focus more on your content. Is less distractive and better at converting. Makes your business look more professional. Is easier for your visitors to navigate around and use. 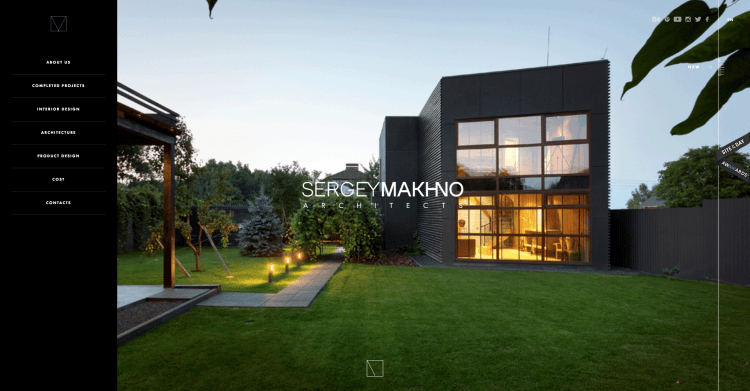 Design architect Sergey Makhno’s website is a fine example of minimal design. Right, moving on to mobile-friendliness. If your website is STILL not mobile friendly, then you are actually doing your business more harm than good, really you are! In fact, your competitors are probably laughing and taking full advantage of the fact that your customers can’t access your website, products, or services on their mobile devices. That’s right, your potential customers are all going to your competitor’s websites because their’s are accessible on mobile devices. Talk about throwing money down the drain-pipe. Look at these staggering statistics to fully appreciate the importance of having a mobile-responsive design. What I recommend you do if you don’t know whether your website is mobile-friendly or not, is to test it here. Modern website designs will also boast safe, clean, and bold typography. Correctly sized text, usually bigger than 16px. This website uses 18px and 19px size text for improved readability. Adequate line-spacing for improved readability. Limited use of different colored fonts. Grey or black typography, depending on the background tone/image. If your website is still using a text size of 12px or less, then it’s well and truly frozen in time. Increase it, make it easier for your visitors to read your web copy. The use of large hero images is another very popular modern website design tactic. 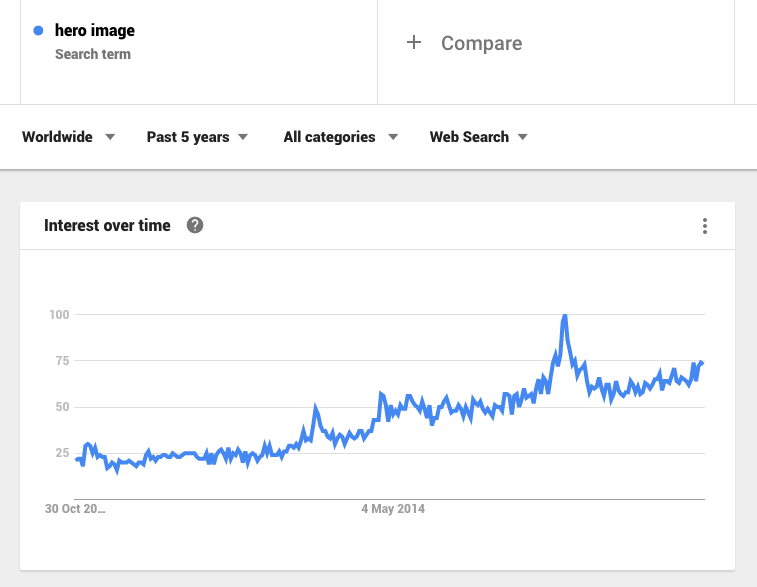 In fact, this trend has been steadily increasing over the recent years according to Google Trends. Take a look at the screenshot below. Hero images are essentially large banners, usually visible above the fold. Obviously, these images somewhat relate to the nature of a website or its content. If you visit the homepage of Magnet4Blogging for instance, you’ll see that there’s a nice big hero image of myself working on my laptop in the background. Many other personal brand websites make very effective use of hero-images and banners too, usually to help them establish a positive connection with their website visitors and on a personal level too. Here are a few entrepreneurs who do this very well with their personal brand hero-images. Chris Ducker of ChrisDucker.com makes exceptional use of his hero image. So does Mariah on her website at Femtrepreneur. Have you noticed how some websites have custom videos playing in the background headers? Well, this is another trend in modern website design that is becoming increasingly popular. 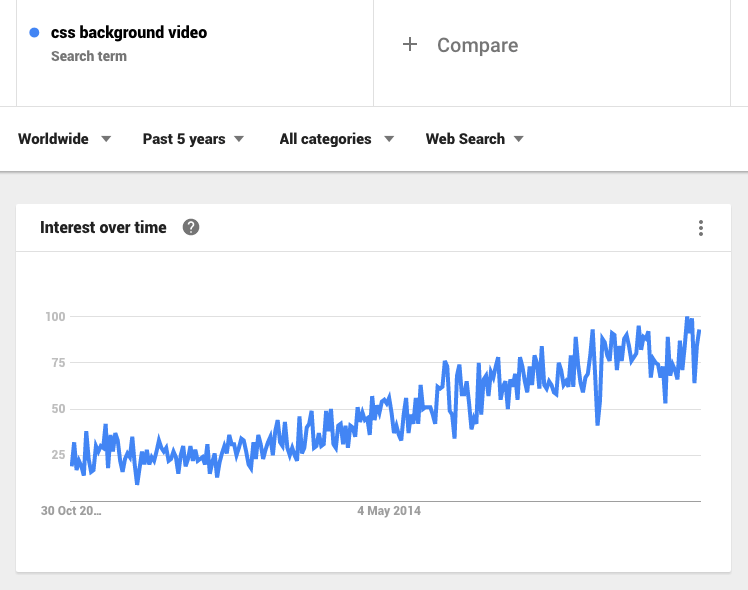 Check out the trend growth in Google Trends for this one. Use of background video in websites is achieved either through some hard coding done with custom HTML and CSS. Or, if you’re not too savvy and want to save time, money and retain your sanity, you can discover some plugins to help you create a background video for your WordPress site quickly and easily. If you are at all interested in learning how to create a background video in WordPress yourself, check out this video tutorial over on YouTube. Thrive Architect is a powerful visual editor plugin for WordPress that will allow you to use background video in your page design. Lastly, check out Coulee Creative’s website for a fine example of a fullscreen background video in action. OK, so lastly I want to share with you another design fad in modern websites that you might be seeing a lot of, and that’s the use of ghost or transparency buttons. These buttons usually come in white or with a transparent background. You’ll usually see them embedded on top of a hero-image or visual graphic of some kind. See below for example. I will admit, I love ghost buttons and I think they look great on many modern websites. That being said, when it comes to conversion rate optimization, the use of ghost buttons may not always be such a great idea. In a recent case study on Elevated Third, tests found that solid colored buttons performed much better than ghost buttons. It’s not hard to see why either. If you look at the screen capture above, again, you will see that the ghost button at the bottom of the page is almost invisible in contrast with the background image. It doesn’t stand out as much. Do you agree that it doesn’t really stand out? The point is, if you’re going to use ghost buttons in your modern website design, just make sure you make them visible, and not hidden over poorly contrasted images or backgrounds. So there you have it, 6 fresh modern website design trends to inspire your next web project. 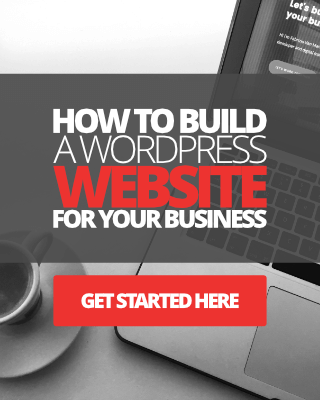 Of course, you don’t have to go out and invest all your time, money and energy in using every single element to make your website or blog more fitting with present times. At the end of the day, user-experience and fulfilling the needs and desires of the people consuming your content should be a top priority. Also, I want to state that good copywriting and having a solid marketing message is part of the overall design architect too. Good copy should never be an afterthought in modern website design, it should be part of it. P.s. 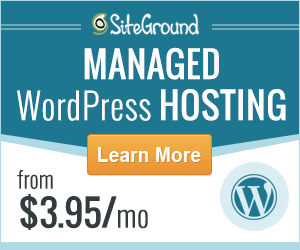 Need help with your WordPress website design and branding? Click here to learn more, or fill out my web design questionnaire form to get started. Modern, fresh and clean is the motto now – things have changed a lot these days. And having a great website design is not just about having flashy colors or attractive widget – its about what works to serve the purpose of your business. Given that every business and its goals are different, one has to choose and go with what works for him/her. Certain amount of trial and error and a learning curve are inevitable – can say that from my experience. Yes, how things have changed indeed. It is becoming more and more apparent that user experience is of paramount importance, and less clutter, gimmicks, distractions a website can have the better I guess. These days websites have to be engaging, interactive to some degree but most definitely engaging. It has to tell a story through both content and design, so there needs to be a balance. I think however, that having a website that is “mobile responsive” is probably the most important element by far. That’s one trend that’s not likely to ever go away, so we must make sure that our website design and layout, content, products and services can be accessed easily on all devices. Have a great week ahead Jane, chat soon. Every year we see new trends in web designing. Even this year we have seen so many things in designing. Designs are not only becoming more attractive but also becoming more engaging. Designs should be according to the need of business. Your tips are awesome. Hi Sona, thanks for stopping by. I completely agree with you, every year we see something new. No doubt next year there will be an array of new trends to keep up with. Simplicity and engagement is definitely the trends that are more in focus. I think UX will play an even bigger roll in 2017 and beyond.